The University Libraries is now charging for 3D printing ($2/print job in Bruno, Gorgas, and McLure; $15/print job in Rodgers). For more information, please contact the circulation desks at any of the University Libraries and review the 3D Printing Policy. If printing at Rodgers Library, check out the Makerspaces Guide. 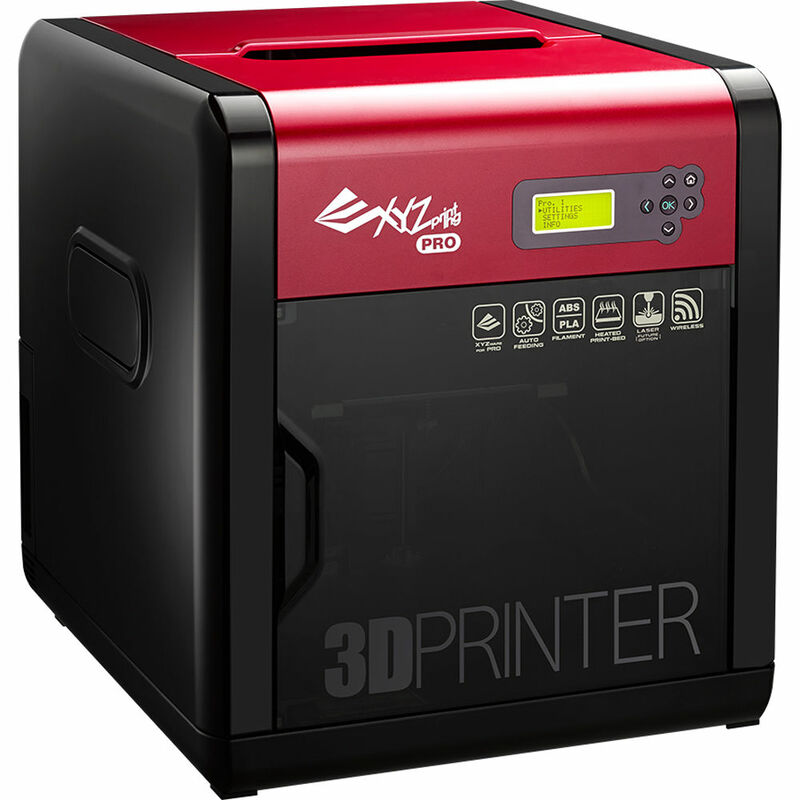 Maximum build size 7.8(w) x 7.8(h) x 7.8(d) inches or 20(w) x 20(h) x 20(d) cm Z AXIS RESOLUTION 0.100mm (0.004″ / 100 microns) LAYER THICKNESS 100 microns, 200 microns, 300 microns for fast and 400 microns for ultra fast mode. Participation in a 3D Printer Training and Safety Workshop offered by a Rodgers Library staff member is required prior to use. 3D Printer Training is offered during the spring, summer, and fall semesters, when classes are in session. There is a signup sheet posted at the Rodgers circulation desk with training times. For more information contact 3Drodgers@ua.edu. It all starts with making a virtual design of the object you want to create. This virtual design is made in a CAD (Computer Aided Design) file using a 3D modeling program (for the creation of a totally new object) or with the use of a 3D scanner (to copy an existing object). This scanner makes a 3D digital copy of an object and puts it into a 3D modeling program. To prepare the digital file created in a 3D modeling program for printing, the software slices the final model into hundreds or thousands of horizontal layers. When this prepared file is uploaded in the 3D printer, the printer creates the object layer by layer. The 3D printer reads every slice (or 2D image) and proceeds to create the object blending each layer together with no sign of the layering visible, resulting in one three dimensional object. More printed projects can be found in this google photos album. For questions about 3D Printing service, please contact the appropriate email address below for assistance, or post your question to the UA3DLIB google message board.